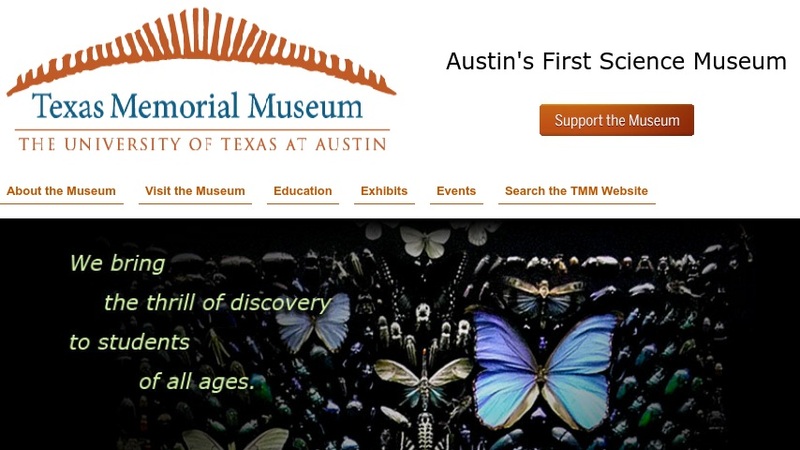 The Herpetology Collection of reptiles and amphibians is part of the Texas Natural History Collections (TNHC) in the University of Texas at Austin's Texas Memorial Museum. The Collection "holdings consist of about 63,000 catalogued specimens, which are used for research by faculty, staff and students at the University, as well as by qualified researchers throughout the world." Frogs make up more than half of the catalogued specimens, and the United States is the primary source of specimens. Collection materials are also from Central and South America, Mexico, Africa, and Southeast Asia. Loans are available to "established researchers at recognized institutions with the facilities to properly house and care for the specimens." The website offers information about the Loan Policy to interested researchers. The site also links to the searchable and browseable TNHC Herp Database. Please note that the Database is under construction, and may be unavailable on occasion.